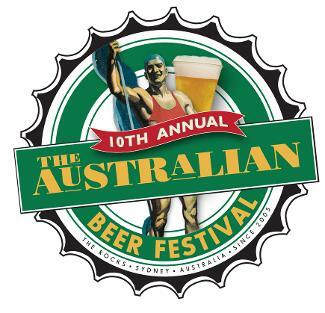 Sydney's ultimate celebration of beer and cider, The Annual Australian Beer Festival, will return to celebrate its 10th year as the original home of craft beer at The Australian Heritage Hotel in The Rocks from 17-19 October 2014. More than 12,000 people are expected to attend the festival and with over 130 Australian beers and ciders on offer, the 10th Australian Beer Festival is sure to keep the palate of any beer drinker content for the whole weekend. Coupled with a beer garden, blind tastings, Meet The Brewer sessions, live entertainment and lots of fun activities, this year's festival is set to be the biggest and best yet. 28 stalls hosting Sydney, regional NSW and interstate brewers will line Gloucester Street, showcasing the best beers and ciders Australia has to offer, from established to up-and-coming boutique brewers. There will also be food stalls offering of tantalising selection of nibbles including the pub's famous mouthwatering range of pizzas, an Aussie gourmet BBQ, oyster shucking station and a whole pig on a spit. In memory of pioneering craft brewer Geoff Scharer, the prestigious Geoff Scharer Best Overall Beer will crown the favourite brewer, along with seven more awards including Best Cider. For those who are new to the game, there will be a home brewer shop showcasing entry-level equipment to get started with craft brewing at home and the annual Home Brew Championship, which encourages dedicated home brewers to put their beer-making skills to the test. In celebration of a decade of festivities and in a nod to The Australian's 100th birthday this year, the pub will brew and launch a special limited edition Rocks Lager at the festival. Brewers attending the festival will also be encouraged to brew a one-off heritage beer in honour of the 100 year milestone of one of Sydney's most iconic venues. For more information or to enter the Home Brew Championship, email beerfestival@australianheritagehotel.com. Entries close Thursday 11th September and winners will be announced on Monday 15th September September.